What is in this add-on? 1. New playable leagues across the world. 2. Large leagues - 20 teams in highest division, 24 teams in lower divisions (if so many clubs exist). 3. Each league with 13 awards (player of the week, manager of the month, team of the season etc.) down to 4th tier. 4. Two transfer windows, loaning throughout the year, 14 years old newgens. 5. No specific disciplinary rules and job permissions, no restrictions, no winter/summer break, league sorting rules, four relegations and one play-off (usually). 6. Removed reserve teams (for example: "II", "B", "(..) academy", "(...) U18", clubs which are second teams), leagues for reserves/U18/universities/schools, removed age limits in many clubs also restored a lot of non existing clubs. 7. TV broadcast for highest divisions, prices from TV and positions in league. 8. Slightly changed transfer preferences in many countries on the world. 9. Created national cups and supercups (if not existed). 10. Removed other cups (league cups, tournaments, all-stars games) and remaining leagues which are not subordinate to the main tiers. 11. Original names for leagues and cups with title sponsors (some lower leagues may be non original). 1. Due to editor data limit which is 69 custom nation rules you can choose maximum 69 files! One more and FM will cause crash dump. 2. It is not compatible with many other add-on's! If errors occur, clean the editor data folder and paste the files from this add-on. Also make sure that your FM is updated to 15.3.2 version. 3. Northern Ireland is not playable without Ireland (which is unfixable). If you have noticed more bugs please report them. Screenshots with your countries settings can be very helpful in locating the error. Extracted the downloaded .7z file using 7-zip for Windows or The Unarchiver for Mac OS X. * Create the "editor data" folder if it doesn't exist. Start new save-game with this database selected. The eternal dreamer and a big fan of football around the world. I play and constantly something I edit. 116 comments have been posted so far. I have always an error which the dmp file, I even tried to select two league Russia and Britain tried only pritanov and Japan, have tried just one face of any exact same problem. 1. Clubs from Liechtenstein are playing in Switzerland. There are too few that was the point in doing league. 2. There are no such countries in FM15. You can convert non-existent for example Yugoslavia which is in the database but it would not make much sense, because anyway such countries would not have its own national team. FM is being limited in this regard. 3 I want to know when you pull a file for me to indicate that it is empty or that this file has a virus? 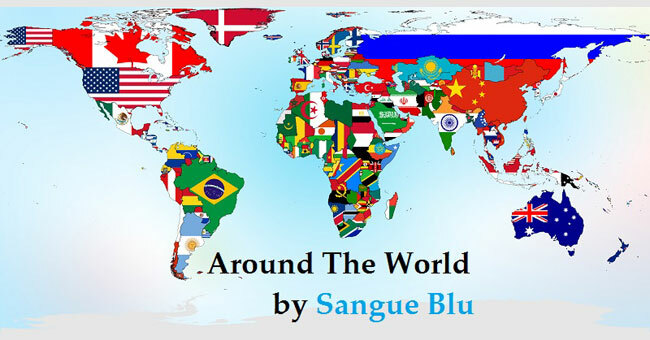 Sangue blue, i checked it out and it works. And i had a look on the data. OMG! Spectacular job! With these data i am going to play the next 25 years! Wala99, you have to open the chosen file in editor and select only two options in national rules. Phistra, of course it is. Hey Sangue Blue. Looks like an awesome job! Is this pack compatible with graphic packs (Logos, player pictures) ? ok I understand, but could you tell me how to activate reserves and u-20? only to activate the editor gives the game days and times of games, or that too I edit it? Of course, I will continue the project for FM16 and start doing it on release then when will be released the editor. The principles of the project will be similar with some changes, but I'm not going to make exceptions for some countries. Certainly I create reserves and U18 teams. Yes, transfer update but without promotions and relegations. Clubs are real, lower divisions may have changed or invented names for example provincial leagues, regional or districts. I tried to get information from all sources to accurately name them. If something is incorrect just report it here or pm. do you have screenshots for me? New Zealand and Australia. Only the top divisions. Thank you! Can you check your inbox if you haven't already? I'll make only youth teams but later. And I'm not going to reduce number of teams in leagues, I'm thinking of enlargement to 30 in FM16. Eee.. what? Read description at the top. Now all countries are playable. I added the 13 countries of Oceania and completed a database of the missing clubs.